Here are my first impressions of the latest from Gary Clark, Jr., Chatham County Line, Kings Kaleidoscope, The Japanese House, Over the Rhine, Cindy Morgan, Priest, Andrew Bird, Gungor, and Owel. When going over my least favorite music of the year, I have to point out as always that there is far worse music out there than anything on this list – mostly by artists who turned me off so much with a single or two, or with obnoxious public personas, that I wouldn’t want to listen to an album of theirs to begin with. But these are all sub-par albums I managed to listen to all the way through at least twice, by artists that I’ve genuinely enjoyed in the past (with maybe one exception). 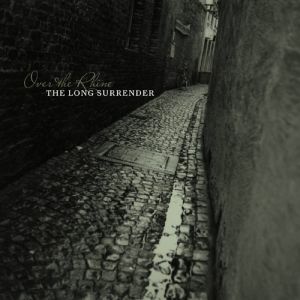 In Brief: A delectable merging of sounds and moods echoing the last four or five albums makes The Long Surrender one of OTR’s best. The beginning of a new year, 2010, and a new third digit in our numbering system for years that indicates I’ll likely never see another year with “0” in that slot for the rest of my lifetime, means that for the first time, this relatively young music fan gets to look back at entire decade (these things being commonly delineated by that third digit even if the technical scientific approach says our decade isn’t over until the beginning of 2011) and try to sum it all up in terms of the music that was meaningful to me over the course of nearly a third of my life. That’s right, I’m just a smidgen over 30, which means that the 2000’s (or the “Ought Nots”, as I’ve decided to call a decade of learning what not to do in retrospect) were my first full decade of being a true music fan. I might have come of age and finished high school and college in the 90’s, and I have my fair share of nostalgic tunes to whisk me back to those days. But this most recent decade was when I truly opened up, with the advent of file sharing and social networking making it remarkably easy to burst the bubble of “Christian music only” that I started out with, to go beyond the basic pop/rock styles largely dominant on the radio, and to really dig deep and find my own musical personality, unburdened by rumors of danger beyond the comfortable fences I had previously built for myself. Not having seen Christine’s parents since late 2006, we took an “off-season vacation” in late January/early February to go back to Oahu and visit them. This was a much cheaper trip than usual – no side journeys to outlying islands or overnights in Waikiki hotels or anything like that. Just low-key relaxation in suburban Mililani – and of course the usual driving around and exploring the island that I can never resist doing. Most of these songs aren’t tied to memories of that trip in the direct sense, but any good vacation offers its fair share of moments to pause, take in the peace of a beautiful place far from home, and reflect on personal issues I’m dealing with at that point in time, ways that my beliefs and passions are being shaped and challenged, etc. Listening to this batch of songs ten years later, it’s pretty clear that I was on the verge of some of those changes. 2007 was the rare year where I actually embraced and enjoyed the winter season, as evidenced by the Christmas and winter-themed songs that dominate the end of Disc Two. Southern California winters are not known for being snowy, but there’s winter imagery to be found if you’re looking for it. As a deliberate contrast, the first several songs on Disc One are dominated by the theme of fire. Because, unfortunately, wildfires are a common feature of California autumns. Christine and I were just insatiable when it came to traveling in 2007. Perhaps it was the sense that we figured at the time we might start a family soon, and that we should get the exploring out of our systems while we still could. As it turned out, that goal was a lot further off than either of us could have anticipated at the time. We needed the time, not just to explore the grand sights and backroads of California together, but to more fully explore and understand each other, too.